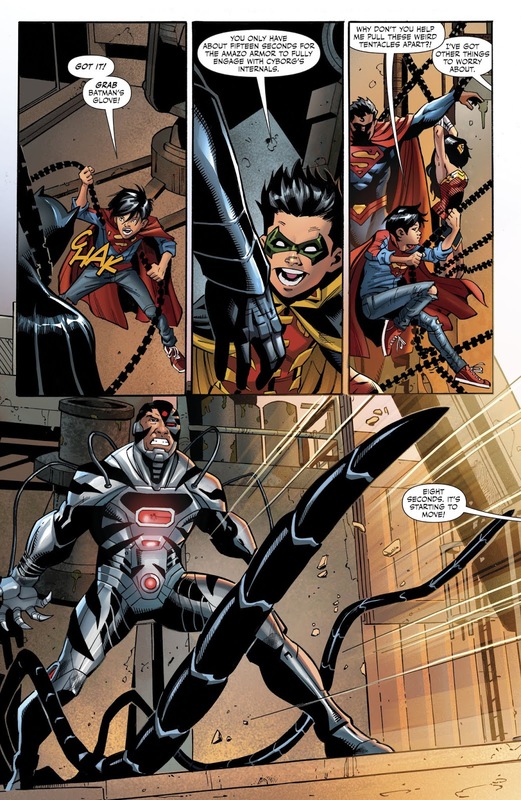 Kid Amazo is siphoning off the powers of the Justice League, and Robin’s brilliant plan was to let Amazo take control of Cyborg. 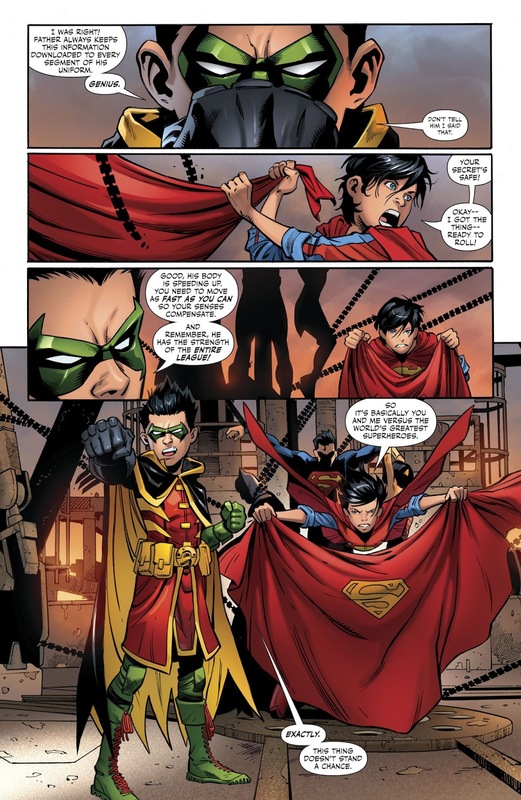 Once Victor Stone was possessed, Robin used Batman’s glove to access his files on how to take down the Justice League (a wonderful throwback to the Tower of Babel story line). 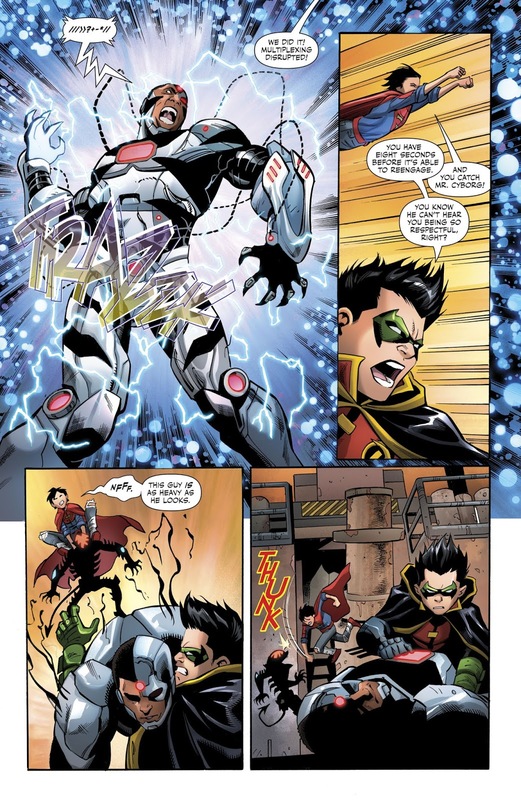 Robin: My father keeps a record of how to take down every league should they need to be destroyed. I gambled he’d keep an updated copy locally in the uniform. 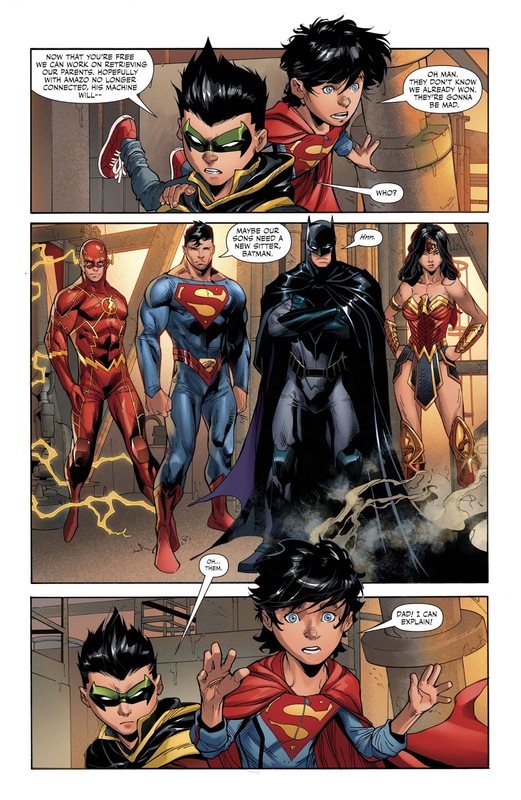 And I was right. 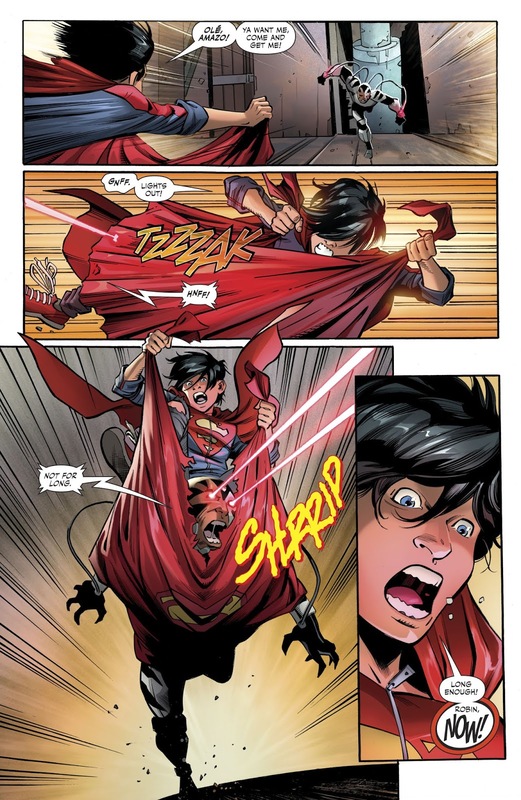 Superboy: Wait a sec, your dad has plans to destroy his teammates? 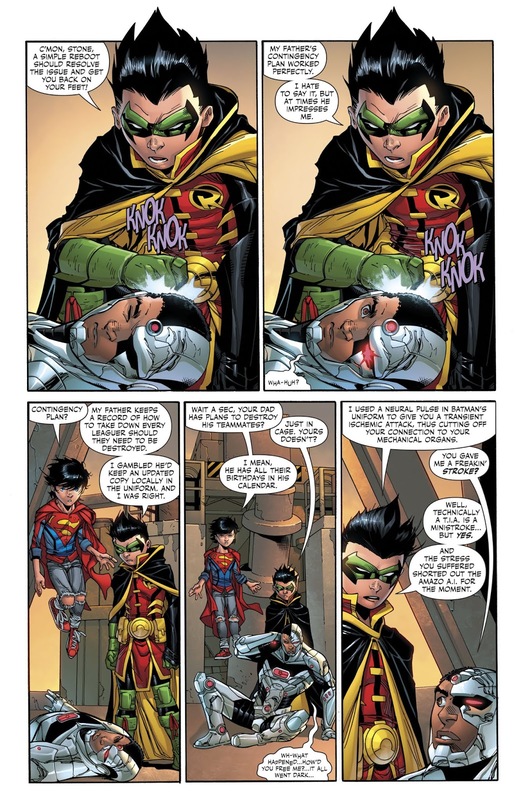 Robin: Just in case. Yours doesn’t? 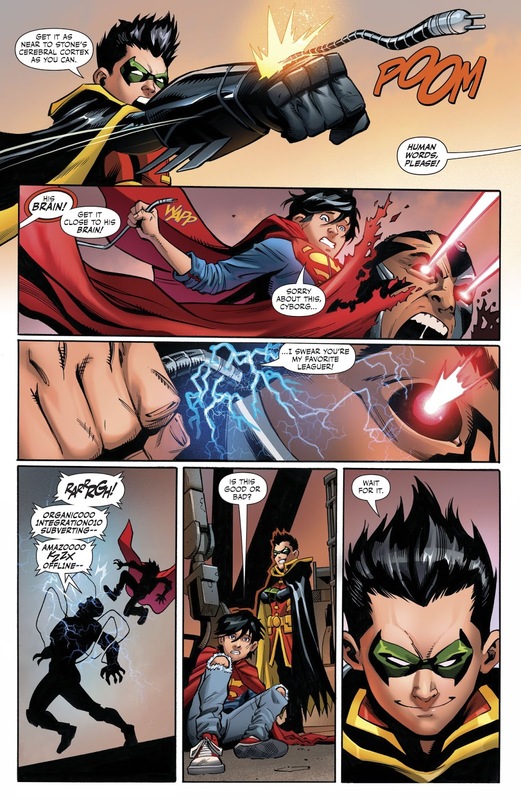 Superboy: I mean, he has all their birthdays in his calendar.